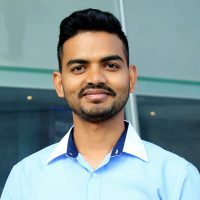 We are pleased to announce that our 3rd year PhD student Pramod Sah has been awarded a Killam Doctoral Scholarship. The Killam Doctoral Scholarships are provided annually from the Izaak Walton Killam Memorial Fund for Advanced Studies. These are the most prestigious graduate awards available at UBC and are awarded to the top doctoral candidates in the Affiliated Fellowships competition.